All my English Learning Memes! These memes help you learn English in a fun and interesting way. Click on the meme to get a more detailed explanation of the vocabulary or grammar mistake you should avoid making. Do you know the difference between carry and wear? If not, this meme's for you. 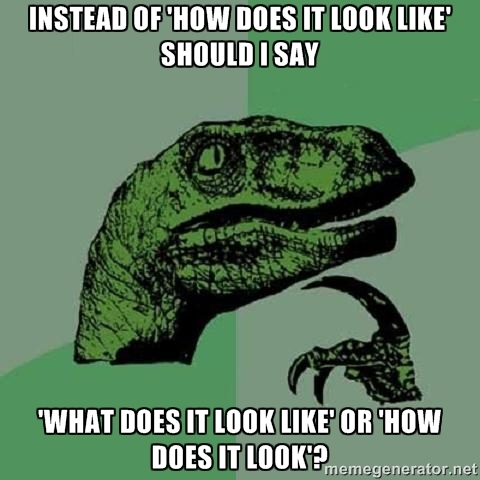 Have you ever said "How does it look like?" Learn why you should never say it! 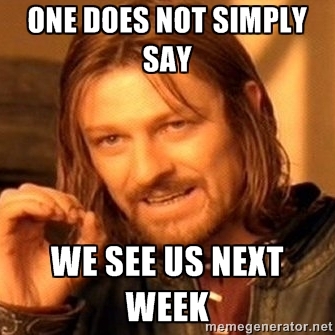 "We see us next week" is not correct English. Click on the photo to see why. 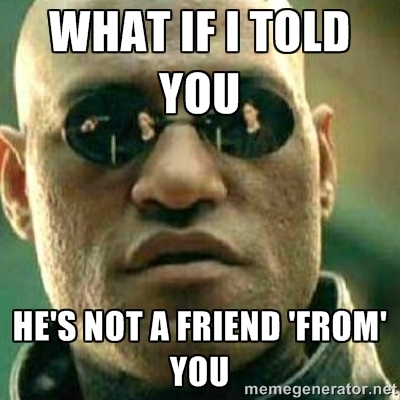 If you use the phrase "a friend from me," you need this lesson. 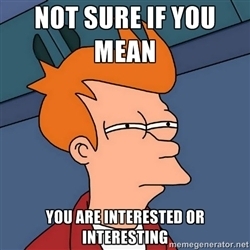 Do you know the difference between INTERESTED and INTERESTING? 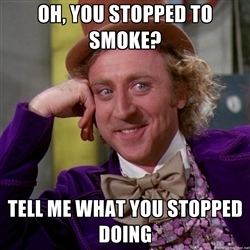 Which is correct: stop to smoke or stop smoking? Learn the answer by clicking on the meme.